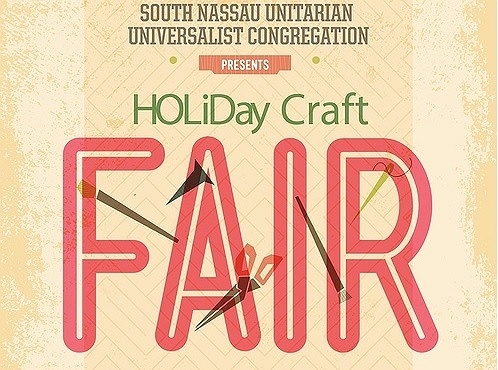 Subject: LongIsland.com - Your Name sent you Event details of "Freeport Craft Fair "
Holiday craft fair at the Unitarian Universalist Congregation in Freeport! 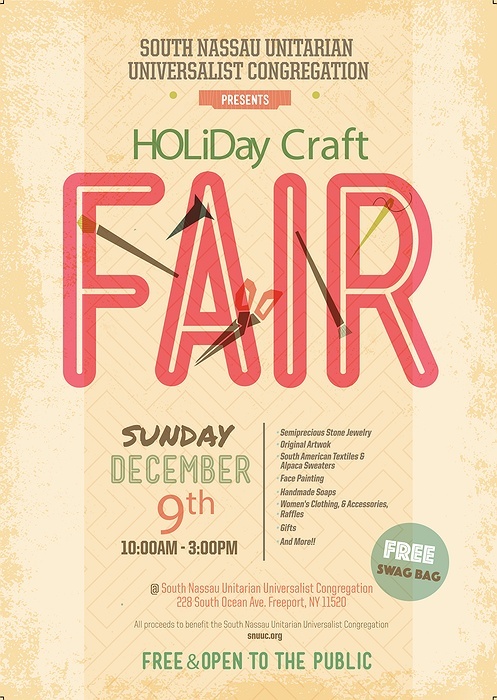 Handmade crafts including exotic wood cheeseboards, leather bags & wallets, local jam, mason jar holiday centerpieces, handmade soap, handmade jewelry, Tupperware, Arbonne, on-site reiki healer. Free swag bag raffle every hour! $100 Target gift card and a flat screen TV will also be raffled. Free face painting for children. Doors open 10am, fair ends at 3pm.